The World Cup Is Over, but Has Vladimir Putin Come Out the Big Winner? 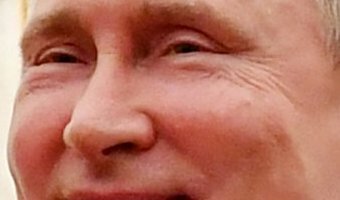 World Russia 2018 World Cup Vladimir Putin Soccer Russian Politics Russian President Vladimir Putin is proud and happy, by his own admission. For a month, he has watched as his country hosted the biggest party in the world, as hundreds of thousands of people from over 32 nations paid a boisterous visit to Moscow, St. Petersburg and nine other cities. As Putin hands over the role of host to Qatar, the Kremlin is left to reap the rewards of a job well done, but also to deal with the risks of Russians who will not want to see the party end. The gains for Putin and Russia are already visible. Images of South American fans dancing at the walls of the Kremlin, footage of Japanese and Senegalese fans endearingly tidying their stands, and fans from across Western Europe following their teams across Russia without major risks from infamous ultras or harassment have become have been the focus of much social media coverage during the tournament. Russia’s tourism board expects to cash in … [Read more...] about The World Cup Is Over, but Has Vladimir Putin Come Out the Big Winner?